6 Pcs Kit Fits Honda Prelude. 2 Rack and Pinion Bellow Boots. 2 Front Inner Tie Rod Ends. 1 Front Outer Tie Rod End - Passenger Side. 1 Front Outer Tie Rod End - Driver Side. 2 K9863 Rack and Pinion Bellow Boot. 1989-1991 Honda Prelude (W\2 wheel steering). 1988 Honda Prelude (w\chassis # Jc069931. You must drain the test oil first than you must add specified oil to the compressor. Proof of these procedures will be required for any warranty. ). 2 Rack and Pinion Bellow Boot. 8 Pcs Kit Fits Honda Prelude 1992 - 1996. 2 Front Lower Ball Joints. 1 Front Outer Tie Rod End - Passenger Side. 1 Front Outer Tie Rod End - Driver Side. 2 Front Inner Tie Rod Ends. HONDA PRELUDE 1997 - 2000 All Models YES. Complete Power Steering Rack and Pinion Assembly. MAKE MODEL YEAR RANGE SPECIFIC DETAILS POWER STEERING. Our Products are manufactured in ISO 9000 / 9001 / 9002 certified facilities. HONDA PRELUDE 1992-1995 W/ TWO WHEEL STEERING YES. HONDA PRELUDE 1996 YES. MAKE MODEL YEAR RANGE SPECIFIC DETAILS POWER STEERING. Our Products are manufactured in ISO 9000 / 9001 / 9002 certified facilities. This is a complete power steering rack removed from a 96 honda prelude. It has been tested and is in excellent working condition. NOTICE, all boots are ripped, otherwise it is in good condition. SHOULD fit 92-96 Honda Prelude. 88 89 90 91 Honda Prelude OEM power steering rack & pinion end joint ripped. This is apower steering rack removed from a 91 honda prelude NON AWS. NOTE, the end joints are ripped as pointed out, otherwise it is in good condition. Power Steering Rack & Pinion Assembly. Each rack and pinion unit has been thoroughly high-pressure air tested to ensure that there is no leak. Each rack is hydraulically tested with a top of the line test machine to ensure the best operation and performance. Off a 1997-2001 Honda Prelude. Front Inner Tie Rod Ends w/ Boots. 2 Front Inner Tie Rod Ends. 2 Rack and Pinion Bellow Boot. READ the notes on the compatibility chart. All Models. SPECIFIC DETAILS. LKQ SKU: LKQ785 ~203625675 STG58860. This is NOT a manufacturer part number, and can be disregarded. We do our best to prevent these issues from happening and apologize for any inconvenience it may cause. 2001 HONDA PRELUDE SH. If you don't want any surprises - keep in touch with the transporter yourself. Your feed back is very important to us. - don’t need it any more;. - wrong part ordered;. - doesn’t fit;. 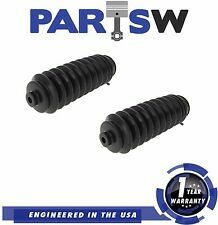 Set of 2 Rack and Pinion Bellow Boot. 2 Rack and Pinion Bellow Boot. Civic del Sol. READ the notes on the compatibility chart. HOURS OF OPERATION. All Models. GREASE FITTINGS. 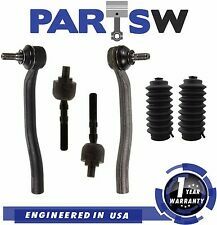 Honda Prelude Tie Rod Ends Boot Kit. 1 Front Outer Tie Rod End - Passenger Side. 2 Front Inner Tie Rod End. 1 Front Outer Tie Rod End - Driver Side. 2 Rack and Pinion Bellow Boot. READ the notes on the compatibility chart. 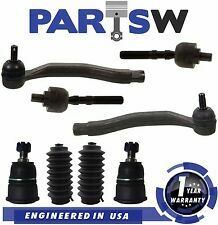 6 Pcs Inner & Outer Tie Rod Ends Boot Kit. 1 Front Outer Tie Rod End - Passenger Side. 1 Front Outer Tie Rod End - Driver Side. 2 Front Inner Tie Rod End. 2 Rack and Pinion Bellow Boot. READ the notes on the compatibility chart. HONDA PRELUDE 1983 - 1987 MANUAL STEER RACK. All Rack and Pinions are Surfaced to OE Specifications - The Proper Surface Finish Will Prevent Leaking Between Chambers and Extend the Units Life. Our Products are manufactured in ISO 9000 / 9001 / 9002 certified facilities. Acura Honda Rack and Pinion 6 Piece Bellow / Boot Kit. Integra 1994-2001. Acura CL 1997-1999. Warranties vary from 12 - 24 months depending on individual manufacturers and cover. Acura Honda Rack and Pinion 6 Piece Bellow / Boot Kit. Prelude 1992-1996. Warranties vary from 12 - 24 months depending on individual manufacturers and cover. Electrical Parts and Components. Installed or Altered Parts. This is acomplete power steering rackremoved from a 91 honda prelude. NOTE, all boots are ripped as pointed out, otherwise it is in good working condition. SHOULD fit 88-91 Honda Prelude. All boots are ripped as pointed out, otherwise it is in good condition. Steering Gear (incl. Model: HONDA PRELUDE. 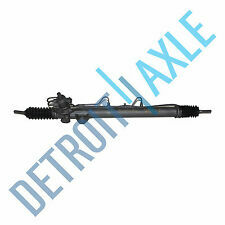 HONDA PRELUDE 92-94 Front, Power Rack and Pinion, front wheel steering. HONDA PRELUDE 95-96 Front, Power Rack and Pinion. Part Grade Abbreviations. cc = Credit Card size units. ). 1997-2001 Honda Prelude Rack and Pinion. Power Steering Rack & Pinion Assembly. Each rack and pinion unit has been thoroughly high-pressure air tested to ensure that there is no leak. Each rack is hydraulically tested with a top of the line test machine to ensure the best operation and performance. HONDA PRELUDE 2 WHEEL STEERING ONLY! IMAGE IS GENERIC. WE PROVIDE THIS UNIT:92-96 Prelude Image. POWER STEERING RACK AND PINION. 1992 92 1993 93 1994 94 1995 95 1996 96. 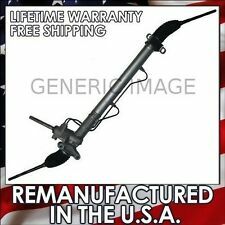 This is a remanufactured Rack & Pinion for the Honda Prelude (See the comparability list for specifics). 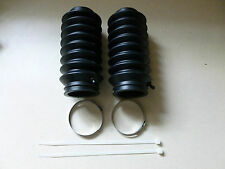 "Gates Steering Rack Seal Kit --. Materials making up the parts included in the kit have passed OEM standards. Quantity sold : Kit. Condition : New. Therefore all implied warranties that may apply to your part are limited to the duration of this written warranty. This fits Honda Civic 1300 1980 - 1983. Honda Civic 1300 DX 1980 - 1981. Honda Prelude 1979 - 1982. HONDA Prelude 1992-1996 All Models. 2 Front Inner Tie Rod Ends. 1 Front Outer Tie Rod End - Passenger Side. 1 Front Outer Tie Rod End - Driver Side. Ball Joint. 8 Pc Suspension kit. 2 Front Lower Ball Joints. PRELUDE 92-96 Floor Shift. We consider this item to be in good used condition. 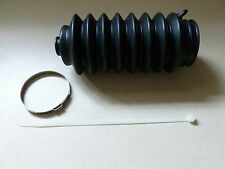 HONDA PRELUDE POWER STEERING RACK AND PINION SEAL KIT. 1997-1998 HONDA PRELUDE. No exceptions. -will include all seals, o-rings, and OEM parts necessary for the repair. This warranty gives you specific rights and you may also have other rights, which vary, from state to state. JDM RHS HONDA PRELUDE BB1 BB4 H22A. HONDA PRELUDE BB1 BB4. 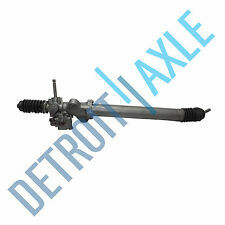 POWER STEERING RACK & PINION 92-96. A PCS OF RIGHT HAND SIDE POWER STEERING RACK AND PINION. JDM USED PARTS. ITEM INCLUDED ITEM SOLD AS IT. "EMPI Steering Rack Boot --. 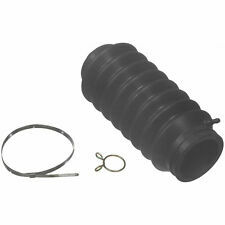 EMPI STEERING RACK BOOT. Condition : New. Under NO circumstances will our liability exceed the amount of the original sale. General Warranty Limitations (Applies to all Product Warranties). Part Number: 36R0485. This part generally fits Honda vehicles and includes models such as Prelude with the trims of 2.0 S Coupe 2-Door, 2.0 Si 4WS Coupe 2-Door, 2.0 Si Coupe 2-Door, SE Coupe 2-Door, Si 4WS Coupe 2-Door, Si ALB Coupe 2-Door, Si Coupe 2-Door, SR Coupe 2-Door. Model: HONDA PRELUDE. HONDA PRELUDE 98-01 Floor Shift. Steering Column. J & J Auto Wrecking was established in 1957! We are here to serve you and are always more than happy to hear from you. Part Grade Abbreviations.